Over the last ten years, we have witnessed a rebirth of men’s jewelry due to the explosion of CAD designed jewelry. 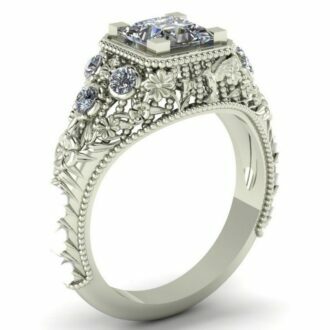 CAD has infinitely multiplied the capability of jewelry designers while also making it far easier for the regular person to get into jewelry design and creation. Before then you had to learn how to carve jewelry out of wax, which requires far more time to learn than CAD. This rebirth in men’s jewelry has dramatically changed the landscape and availability of Custom Men’s Wedding Rings. Although the typical comfort fit Gold, Platinum, Palladium, and Silver rings are and will remain popular, we have seen the emergence of a new style of Men’s Wedding Rings using, modern and new profiles as well as custom inlays and colored gemstones. And it is a popular trend that appears to only be gaining momentum as custom jewelry becomes more widespread. So kiss the traditional flat, gold wedding band good-bye, and get ready for Men’s Wedding Rings, guys. The generic, plain wedding band has become an antiquated concept with so many options for custom Men’s Wedding Rings available. Your level of activity — whether you work with your hands, sit in a cubicle, or go to the gym every morning – should decide the type of Modern Men’s Wedding Rings you are looking at. What does this mean? It means that if you are rough on your hands, you might want to choose platinum or palladium over gold (for durability); avoid matte finishes (which show scratches), decorative and small details (easy to blunt after multiple bumps), and soft colored gemstones that can chip, break, or fall out. If you are easy on your hands, something like gold or possible even sterling silver could be used. Diamonds in Modern Men’s Wedding Rings? 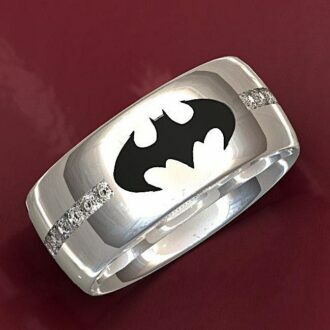 Using Diamond in men’s wedding rings have gone from unusual to totally acceptable and even desirable. Men who consider themselves stylish and fashionable love the sparkle and sophistication they can display. In fact, diamond wedding bands are the second leading category of men’s jewelry after watches today. It helps that diamond Men’s Wedding Rings also wear well with diamond-studded watches as well as her diamond-set wedding and engagement rings. The most typical Men’s Wedding Rings are low key: involving less than a carat of diamonds, although this isn’t a hard and fast rule. They are also very wearable. Two popular men’s styles of stone settings incorporate gypsy- and channel-set round or square diamonds (baguettes are not usually used for men’s rings). And we’re not just talking icy white diamonds, either — black, champagne, and yellow diamonds are hot gems for men’s rings. Although we’ll always love the classic sparkle of a white diamond. Men’s Wedding Rings are increasingly being made with colored gemstones. They are perfect for the less-traditional, fashion-following crowd. And opting for something like blood red rubies or cool blue sapphire can really say a lot about what and who you are. From an array colored diamonds to the huge world of colorful gemstones, there’s a whole spectrum of colors to choose from: royal blue hues, lavish canary yellow diamonds, fiery red rubies, and emerald green…just to name a few. So if you’re looking for wedding ring stones other than the typical diamonds, you’ve come to the right place. Are you contemplating the world of colorful Men’s Wedding Rings? Do you to want to keep it not too far out of the mainstream? One of the best colored gemstones for Men’s Wedding Rings is sapphire. Most traditional in its blue form, sapphire wedding bands and sapphire engagement rings have been worn by royalty as well as celebrities from ancient to modern times. On top of being one of the most durable stones in nature, sapphires are available in far more colors than most people realize. They can be found in yellows, greens, pinks, purples, etc. Are you wanting to show multiple colors that have meaning for you? A multi-colored wedding ring using a few of the sapphire colors gives a taste of all the possibilities you have with sapphire stones. Do you want a colored Men’s Wedding Rings with the hardest stones in nature? Diamonds are they answer! Diamonds are the hardest natural material in the world and they also come in almost every color of the rainbow. The Diamond Color Chart gives you an idea of all your color diamond options, ranging from faint to deeper yellow. The more colorful diamonds like pink, blue and black diamonds are known as fancy diamonds or fancy colored diamonds. Colored diamonds occur naturally but are more often produced through an irradiation process that permanently colors the stone. If you want a more ethereal or organic feel, natural gray, brown, or dark gray black, rough diamonds are beautiful. 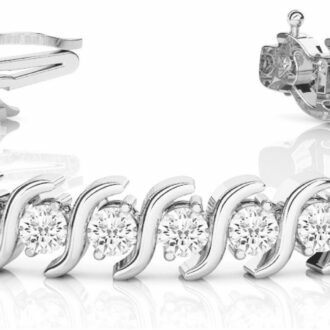 They can make a beautiful addition to any of our Men’s Wedding Rings. Want to start your own custom men’s wedding ring? Contact us with your idea today…It can cost less than you think to have your very own custom wedding ring created just for you. Click HERE to see more about Custom Men’s Wedding Rings or contact us with your custom wedding ring idea.